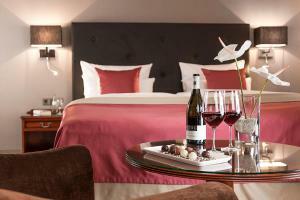 This 5-star hotel is located at the Schlossgarten Park in central Stuttgart, 100 metres from Stuttgart Central Station. 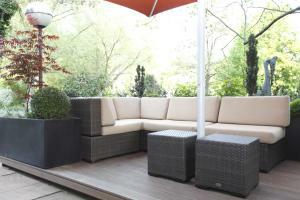 It includes 2 excellent restaurants, a rich breakfast buffet each morning, and a spacious terrace. All of the air-conditioned rooms at the Hotel am Schlossgarten feature soundproofed windows, free WiFi, and a modern bathroom. Many offer scenic views of the surrounding gardens and vineyards. 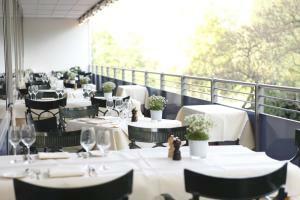 Schlossgarten Restaurant offers French cuisine with regional influences, and regional Swabian dishes can be enjoyed in the Vinothek Restaurant. 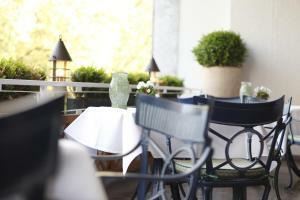 A selection of rums, cocktails and fine wines are served in the American-style John Cranko Lounge, while the Café am Schlossgarten serves cakes, tarts and local delicacies. Guests can relax with a free newspaper on the terrace and rental bicycles are available for exploring the surrounding area. The State Gallery of Art can be reached in less than 10 minutes on foot.